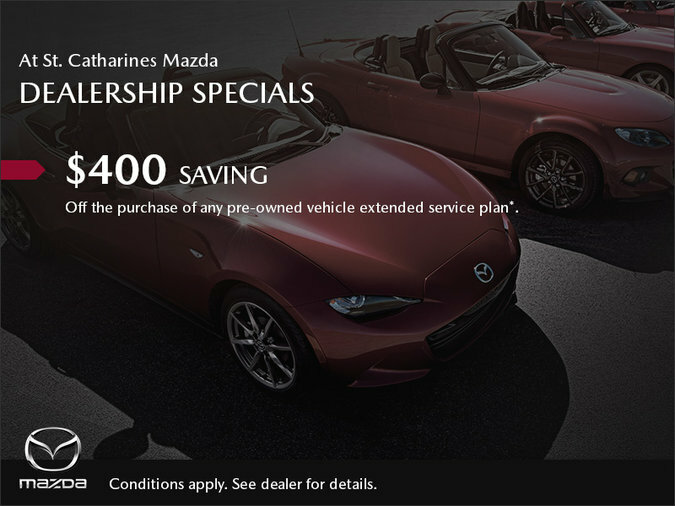 Dealership specials mean big savings at St. Catherines Mazda! When you purchase a pre-owned vehicle extended service plan! Ask how we can add your protection coverages into your monthly payment to save on unexpected future repairs.